It was our son’s school fete this last weekend. My wife helped run the cake stall. 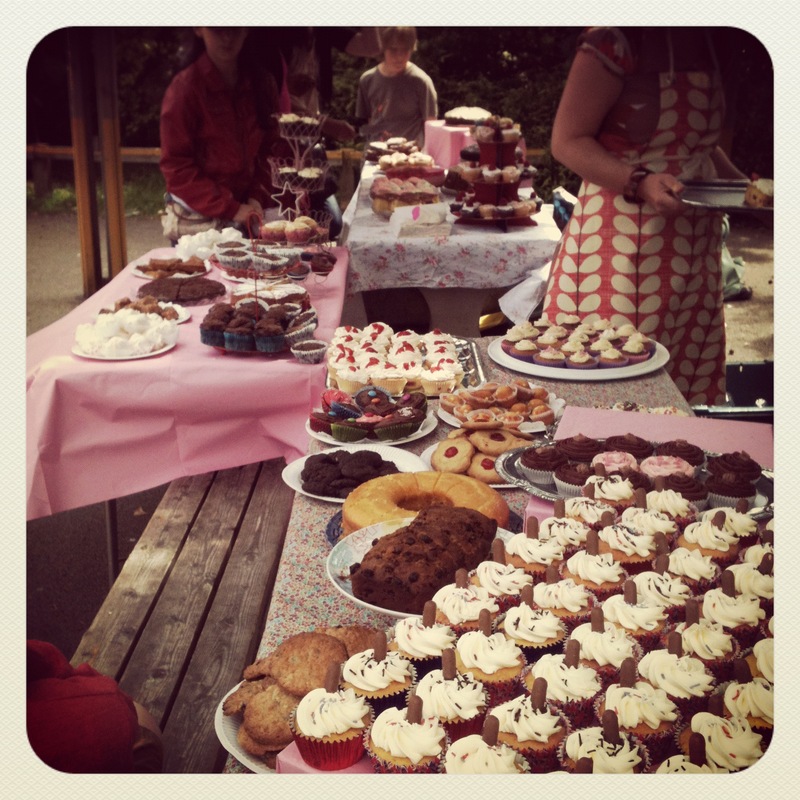 Some friends who saw this picture on Instagram asked me whether she’d made all of the cakes. Which, not least because there were just as many behind the stall waiting to be displayed, struck me as rather fanciful. Imagine how long it would have taken to bake all of that! Of course, however long that was, somebody did have to take the time, but it wasn’t my wife alone. It was a bunch of parents keen to help raise money in a way that was relatively easy for them to achieve. Everyone pitched in, everyone had a role to play. It’s what cake stalls are all about. But it also seems to me that it’s what our open source, social, collaborative web is all about. Businesses and services spring from the communities of which they’re part. Let me see if I can make this rather tortuous metaphor work. You have a site that you’ve acquired for little or no outlay. A shop window, if you will. It’s not there to generate profit necessarily, at least not yet. But to gain a foothold, or at least traffic, it needs to be useful, or structured in such a way that it helps its users/customers to easily achieve their goal. The site then gets populated by the product of expertise and time of its contributors. What gets sold is crowd-sourced from anyone who wants to contribute. There’s little inducement to do so, apart from a sense of altruism, a distant promise of your work contributing to a a greater good, and perhaps the fact that lots of others will probably be doing it. Of course, then people who pass by the site are attracted by the wares on display. They know making a purchase will help the cause, but they do get something lovely in return. It’s a win-win. Everybody’s happy. And the more popular the site is, the more the people keep coming. If the product was good, they even come back. My wife and the other parents were busy serving people all afternoon. They were selling a product people could consume while travelling around doing other things, so people knew there was a site where they could get cake even if they hadn’t seen the site yet. And as the for the people around the site itself – well, we know how contagious popularity can be. But what about the product itself? Well, all the cakes were different shapes, sizes, colours, tastes and quality. The basic building blocks of the product are so universally understood that anyone could join in. But they’re also endlessly adaptable and open to being customised. Recipes, like software, are freely available everywhere, published and shared by those with sufficient amateur enthusiasm and the skill to know what to do with them. I bet the recipes have been refined, adapted, improved. Tested all the time, with lessons learned from willing focus groups and beta users. But software is only a collection of code, raw ingredients that must be combined in the right way to provide an experience people actually want. What makes them sing is the injection of people’s time and knowledge to create something more than the sum of its parts. To create value from labour. But how to put a price on that value? At our cake stall that some contributors had a more fixed notion than others of what their labour was worth. This presented the people in charge of the site itself with a decision to make over the pricing. How should they balance what they thought people would be prepared to pay with what the makers thought their labour worth? In the end they decided on a fixed price strategy. Everything cost the same, which made things more straightforward for customers, and made sure no-one felt they were being taken advantage of. In the community good will is as important as the immediate generation of revenue. The added bonus is that this approach created a level playing field that made it easier to get an idea of what people liked. When everything costs the same, people start to make judgements on other criteria – what the product looks like, which is more popular, what people recommend, perceived quality of ingredients. The sellers, if they were looking for it, probably learned a lot about their market that day, insights that they could pass on to contributors so their next batch of product might sell better next time around. Now, I know that the expectations at a school fete are set differently to the open market place. Everyone’s set to spend money, because that’s the expectation. Context counts too – compared to whatever else there was there – the bouncy castle, the raffle, the coconut shy – a cake stall provides something physical and tangible for customers to take away along with the satisfaction of contributing. And kids love cake. Everyone loves cake. But the enterprise knew its market. No shame in that. It knew it because it grew from the community it set itself up to serve. People wanted it to do well. Those who provided the service didn’t want to let the community down. Those who contributed were also the customers, and the customers knew everyone was doing it with the best intentions. Perhaps this is what a community business model looks like. Purposeful, open, collaborative and iterative. Web-built businesses are pretty used to this, I guess? How long before every business starts behaving that way?